Carolyn joined Watsi on June 9th, 2017. 140 other people also joined Watsi on that day! 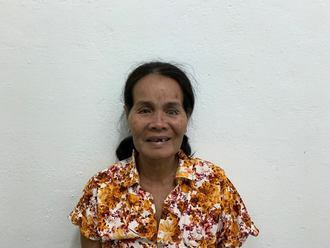 Carolyn's most recent donation supported Savorn, a woman from Cambodia, to fund cataract surgery. Carolyn has funded healthcare for 13 patients in 4 countries. 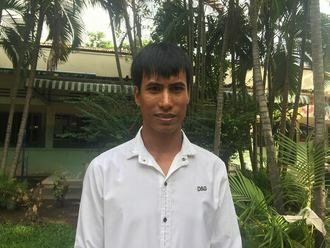 Savorn is a potato, watermelon, and rice farmer from Cambodia. She likes to watch Khmer and Thai dramas on TV, as well as listen to the news on the radio. Two years ago, Savorn developed a cataract in her left eye, causing her blurred vision, pain, photophobia, and itching. She has difficulty seeing things clearly, recognizing faces, and going anywhere outside. When Savorn learned about our medical partner, Children's Surgical Centre, she traveled for three and a half hours seeking treatment. On January 29, doctors will perform small incision cataract surgery and an intraocular lens implant in her left eye. After recovery, she will be able to see clearly. Now, she needs help to fund this $211 procedure. She says, "I hope that I will be able to see everything more clearly now so I can feed my animals and so I can cook for my family. I also hope that I will be able to anywhere I want by myself." 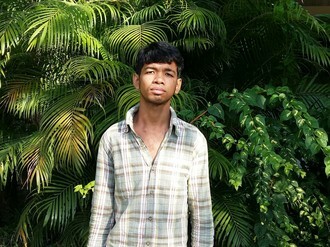 Seng is a rice farmer from Cambodia. She is married. She has two brothers and two sisters. She likes to listen to monks pray on the radio. 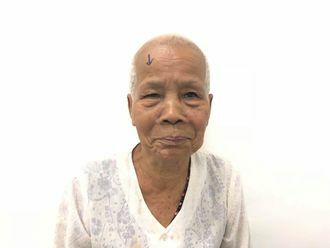 A year ago, Seng developed a cataract in each eye, causing her blurry vision. She has difficulty seeing things clearly, recognizing faces, and going anywhere outside. When Seng learned about our medical partner, Children's Surgical Centre, she traveled for two hours seeking treatment. On January 7, doctors will perform a small incision cataract surgery and an intraocular lens implant in each eye. After recovery, she will be able to see clearly. Now, she needs help to fund this $398 procedure. She says, "I want to go the local pagoda and lead an independent life." Godfrey is Godfrey is a father to six and grandfather to 11. from Malawi. He is a retired medical assistant who spends his free time volunteering at a local clinic near his hometown, as well as hanging out with his family and grandchildren. Since October 2016, Godfrey has been experiencing frequent urination and pain. These symptoms are caused by an enlarged prostate, a condition called benign prostatic hyperplasia. He needs to undergo a prostate resection surgery, a procedure in which surgeons will remove part of the enlarged gland. Our medical partner, World Altering Medicine, is requesting $733 to fund Godfrey's surgery. On October 18, he will undergo prostate surgery at Nkhoma Hospital, our medical partner's care center. The requested money pays for supplies, medications, and two weeks of hospital stay. He says, "It is an economic relief to receive this surgery. Having to pay for transport to the hospital is a burden itself so I am happy to not have to worry about the medical bills also. Please continue this service and helping others." Yoeum is street food vendor from Cambodia. He has two daughters and one son. He likes to listen to music and radio programs. Two months ago, Yoeum had an ear infection. This infection caused the tympanic membrane, or the ear drum, in his right ear to perforate. For this reason, Yoeum experiences tinnitus and itchiness. He cannot hear clearly. Yoeum traveled to our medical partner's care center to receive treatment. On October 19, he will undergo a myringoplasty procedure in his right ear. During this procedure, surgeons will close the perforation. Our medical partner, Children's Surgical Centre, is requesting $423 to fund this procedure. This covers medications, supplies, and inpatient care. He says, "I hope I have better hearing and can return to work without any problems." Than Aye is a 45-year-old single woman from Burma. She lives with her friend in Kaw Bay Village, Kawkareik Township, Karen State, Burma. Four months ago, Than Aye has been experiencing cramps and pain in her lower abdomen. She has been diagnosed with uterine myoma. She has been advised to undergo a total abdominal hysterectomy, the surgical removal of her uterus and cervix. If left untreated, Than Aye's symptoms will continue to worsen and put her at risk for further health complications in the future. Fortunately, Than Aye is scheduled to undergo her hysterectomy on October 2. Our medical partner, Burma Children Medical Fund, is requesting $1,500 to cover the total cost of her procedure and care. Once recovered, she will no longer experiences cramps and pain, and she will be able to return to her work. Zar Ni is a baby girl from Burma. She lives with her family in Myawaddy, Karen State. After birth, Zar Ni developed jaundice. Two days after they arrived home, her mother noticed that she was experiencing troubling symptoms. A doctor examined Zar Ni and sent her for an ultrasound. She was diagnosed with hydrocephalus, a buildup of fluid in the brain. Doctors want Zar Ni to undergo a CT scan, a procedure in which x-ray images taken from several angles are combined to produce cross-sectional images of the body. This scan will hopefully help doctors diagnose her condition and formulate an appropriate treatment plan. Our medical partner, Burma Children Medical Fund, is requesting $414 to cover the cost of Zar Ni's CT scan and care, scheduled for October 9. “I worry about my daughter. I want my daughter to get well soon. I want my daughter to be as healthy as her siblings and I want to send her to school to become an educated person one day,” says Zar Ni’s mother. 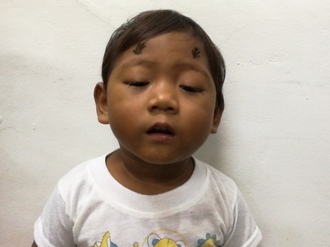 Vanna is a two-year-old boy from Cambodia. He likes to play with toy cars at home. Vanna has ptosis in both eyes. Ptosis occurs when the eyelid droops over the eye. He has difficulty seeing clearly. Vanna traveled to our medical partner's care center to receive treatment. On August 9, surgeons at our medical partner, Children's Surgical Centre (CSC), will perform an eyelid correction procedure to improve his vision. Now, Vanna needs help to raise $292 to fund this procedure. His mother says, "I worry about my son and I want his eyelids to look normal so that he can easily see well." Um is a rice farmer from Cambodia. She has four sons, two daughters, and 15 grandchildren. She enjoys listening to monks pray on the radio. One year ago, Um developed a cataract in her right eye, causing her blurry vision, tearing, and photophobia. She has difficulty seeing things clearly, recognizing faces, and going anywhere outside. When Um learned about our medical partner, Children's Surgical Centre, she traveled for two hours seeking treatment. On July 4, doctors will perform a small incision cataract surgery and an intraocular lens implant in her right eye. After recovery, she will be able to see clearly. Now, she needs help to fund this $211 procedure. She says, "I hope my vision is improved after surgery so that I can return to work." Amosi is a farmer from Malawi. He lives with his wife, and they have six grown children. To supplement the family income, Amosi raises goats . In his free time, he likes to attend his local church with his family. Since October 2017, Amosi has been experiencing pain and urinary difficulty. These symptoms are caused by an enlarged prostate, a condition called benign prostatic hyperplasia. He needs to undergo a prostate resection surgery, a procedure in which surgeons will remove part of the enlarged gland. Our medical partner, World Altering Medicine, is requesting $733 to fund Amosi's surgery. On January 9, he will undergo prostate surgery at Nkhoma Hospital, our medical partner's care center. The requested money pays for supplies, medications, and two weeks of hospital stay. Amosi and his wife were thrilled to learn his surgery would be funded. He is ready to have his procedure so he can get back to his farm and once again be active. He says, "Thank you for this welcome!" Panha is a 25-year-old soldier from Cambodia who is married. He enjoys listening to music, helping his wife around their home, and watching movies on TV. On December 15, 2015, Panha was riding his motorbike when he was in an accident that caused fractures in his left tibia, left femur, left foot, and left wrist. He went to a private clinic, where doctors applied a cast on his left lower leg. However, he did not receive any treatment for his left wrist. 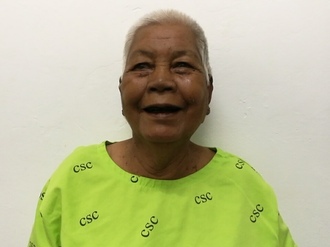 Panha first came to our medical partner, Children's Surgical Centre (CSC), in February 2016. Surgeons performed an open reduction internal fixation procedure on his wrist to heal his fracture. He now returns to CSC because he experiences discomfort and needs to have the hardware in his wrist removed. On February 13, surgeons at CSC will remove the hardware from Panha's wrist to allow him to feel comfortable again. CSC is requesting $411 to fund the treatment.